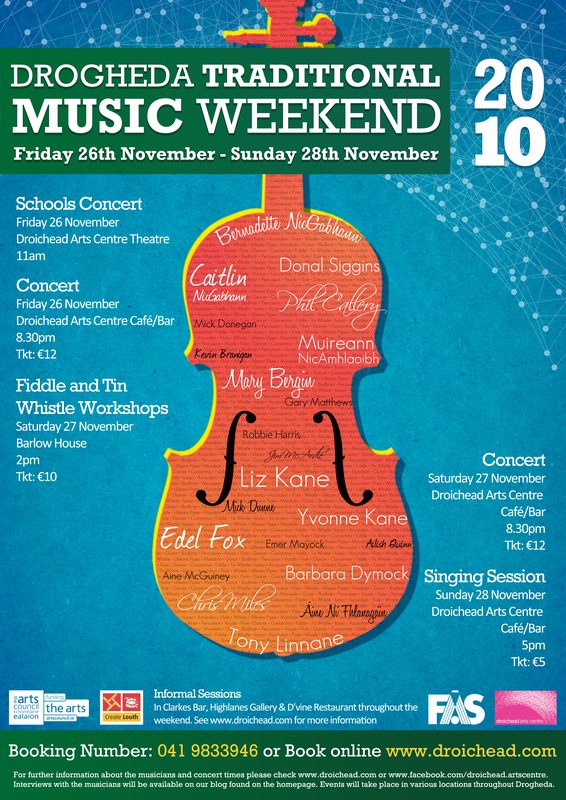 Droichead is delighted to present its 14th Traditional Music Weekend, a true celebration of traditional Irish music and song. 14 years on the go, this celebration features some of the best traditional music playing and singing to be found in the Country. With a strong focus on traditional song, it blends the finest talents, young and old, to bring you a warm glow during the dark days and nights of November. Enjoy this little preview by Emer Mayock, she is just fantastic. This entry was posted on November 19, 2010 at 1:06 pm and is filed under Uncategorized. You can follow any responses to this entry through the RSS 2.0 feed. You can leave a response, or trackback from your own site.